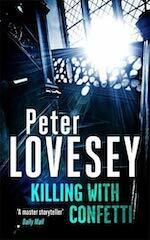 Peter Lovesey will be honoured with a Lifetime Achievement award at Bouchercon 2019 in October 2019. 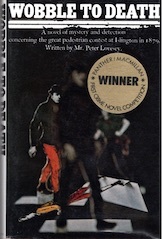 Martin Edwards in Do You Write Under Your Own Name? 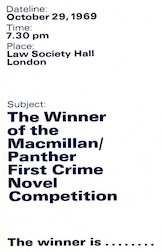 2019 marks a major year in Peter’s crime writing career, the fiftieth since he was announced as winner of the Panther/Macmillan First Crime Novel Competition. 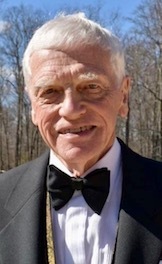 With nice timing, the world mystery convention known as Bouchercon also reaches its fiftieth year and in October 2019, in Dallas, Texas, Peter will be honoured with a Lifetime Achievement Award. 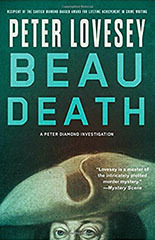 After being honoured in 2018 as Grand Master of the Mystery Writers of America, Peter completed another book in the Peter Diamond series. 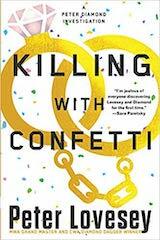 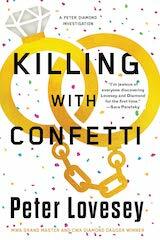 Killing With Confetti published in July 2019 by Sphere (UK) and Soho (USA). 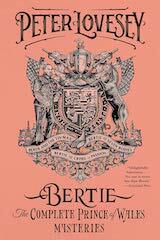 Soho Press publish the first omnibus edition of the three Bertie, Prince of Wales novels (March, 2019). 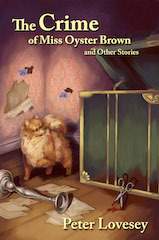 In addition, Crippen & Landru (USA) publish the first US edition of the short story collection previously published only in the UK, The Crime of Miss Oyster Brown (March, 2019).